I Have Alzheimer's BUT, it Doesn't Have Me! Ready or Not, THE Season ’tis Here! If you’re a Baby Boomer like myself, you will probably recognize the photos from “A Charlie Brown Christmas.” For me, it brings back memories of happy, simpler times. That’s where Charlie Brown lived … in the simple times. Nothing really stopped him from doing the things he wanted to do no matter what others thought. He saw the beauty in things others didn’t. He was hopeful and did things in his own time. He was trusting … sometimes, too trusting. He is forever hopeful that Lucy won’t move the football. I think most of us wishes it will happen one day, so we cheer him on that he will, get to kick the ball at least once . . . but not this time. Lucy does what she ALWAYS does. She moves the ball away and Charlie Brown lands flat on his back. We weren’t really surprised were we? Charlie Brown was! As I said before, he always sees the good in people and he trusts they will not do anything to cause him harm. He trusts Lucy time after time. Why? Because that’s who he is. Lastly, there’s the Charlie Brown Christmas Tree that, in his mind, was the perfect tree. Of course, no one else but Charlie Brown saw the beauty of the simple little tree, and, as usual, they all laughed and made fun of the tree as well as him, “The Blockhead”, and hurt his feelings . . . AGAIN! Maybe it was the Christmas Season that got to them, for this time, they saw just how much they had hurt Charlie Brown. 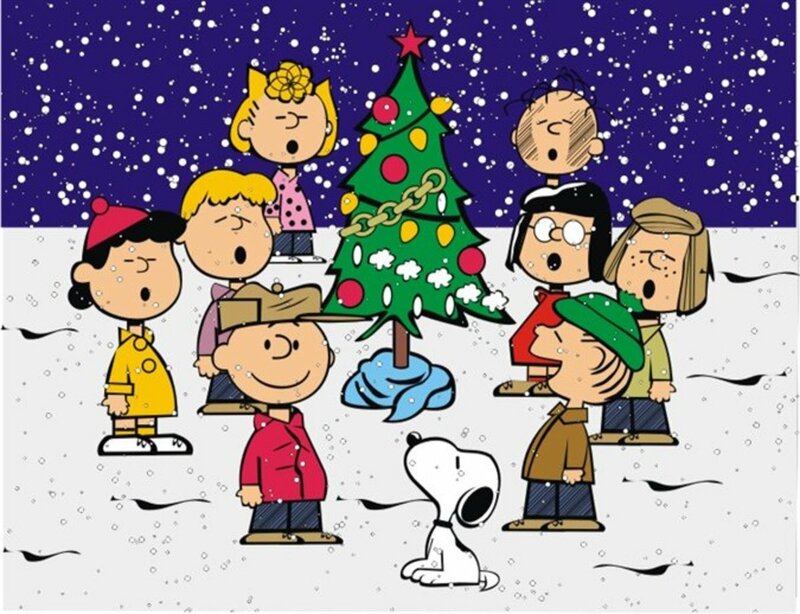 When they saw the saddened little boy walk away as if he didn’t have a friend in the world, Linus anchored the little tree with his blanket and all Charlie Brown’s friends took the lights and decorations off Snoopy’s house and placed them on the tree. They brought Charlie Brown back to show him what they had done and he smiled so big. As with every Charlie Brown cartoon, he was accepted, everyone was smiling and singing and for a brief moment, everything was right with the world. Those of us who are living with a Dementia-Related illness sometimes feel like Charlie Brown. We have those days when we feel forgotten, dismissed, or if we don’t really matter. We sometimes come across people who we believe are our friends but turn out to be a “so-called friend” who pretend to have our best interest at heart, when all they are interested in is furthering themselves by using us to get there. The feelings of abandonment and distrust we experience are not just about our friends but also about some members of our family who no longer talk to us for whatever reason. We try our hardest to remember what we may have done to put this distance between us for we are certain (like Charlie Brown) it must’ve been something we did. When we come to the realization that it wasn’t us, it doesn’t feel any better. When we are having a good day, we feel there is nothing we can’t do, so we take advantage of those days. We use our clarity to do something our minds would not allow us to do the day before, that is, if we remember the day before. Sometimes we do remember and we rejoice for the small victories. Sometimes we don’t and it’s OK because we know we’re not going to remember everything so we carry on the best we can. Then there are the really tough days, the days when we go to kick the ball, and the ball is snatched away. On those days, we may literally fall on our backs, on our butts, hurting ourselves figuratively and mentally. If you’re thinking my point here is to make you feel sorry for me or for the millions of others who, like me, are living with Alzheimer’s or other Dementia- Related Illnesses you would be incorrect. Like Charlie Brown, we don’t give up . . . we CAN’T give up. Giving up is not an option. Giving up is an end and I can’t speak for everyone but I can speak for myself, I still have too much to do and I’M NOT READY TO GIVE UP! What we do want are your friendships. We want your love. We want your understanding. This Disease is not something we asked for, this is not something we brought on ourselves, this is something that just happened to us and we are trying to make the best of the situation. don’t assume we are receiving phone calls, letters, e-mails, Christmas Cards, etc. for you would probably be mistaken. the one thing you CAN assume is, “WE ARE STILL LIVING . . . WE ARE NOT GIVING UP . . . WE STILL MATTER . . . WE ARE STILL HERE! I would like to take this opportunity to wish YOU, yes YOU, a Very Merry Christmas! What Happened to our Society? ?? Receiving notice this has no contact? I don’t want to just survive – – I want to thrive! You write such powerful posts, Brian, and share great insights. Thank you.